When people think of selection and assessment, they usually imagine going into a room in which a nicely-dressed business professional asks them various questions about their work experiences, with the elusive and daunting, “Tell me about yourself.” However, interviews come in many different forms. How do you know which one to select? Which one would work best for you and your organization? With the vast research on selection and assessment, you’d think we’d have a straightforward list of assessment tests that can be leveraged by now. 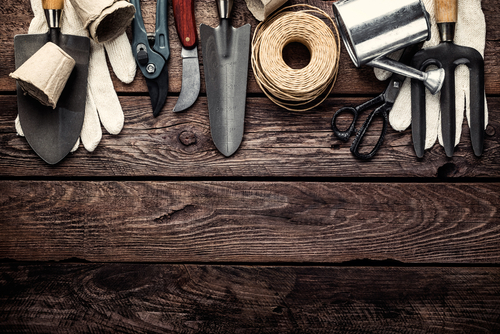 Like a gardener entering the tool shed, you may be faced with a wide array of tools, uncertain of the right one to pick. Sometimes too many options can be overwhelming! The right assessment can provide vast and rich information on applicants, such as their knowledge, skills, and abilities, which will ultimately reveal their qualifications for the job. Using the right and well-developed tool will drive well-informed selection decisions. Let’s start by defining the terminology: what is selection and assessment? Both are fancy terms that simply mean the steps you take to collect information using tests (i.e. assessments) to hire job candidates (i.e. selection). Several benefits of a strong and reliable assessment tool are worth noting; they narrow down the pool of candidates into the ones most qualified for the job; ensure fairness across all applicants since the same procedures are applied to everyone; and save time and money in the decision-making process. Most of all, using a vetted assessment tool reduces the chances of a wrong hiring decision! You wouldn’t want to hire someone who is unqualified for the job. Alternatively, you also don’t want your assessment to erroneously disqualify individuals who would have otherwise been a good fit. A good fit between the applicant and the employer is equally important and beneficial for both parties. When the applicant’s values align with those of the company’s, the candidate will thrive in the new role and is more likely to stay with the company, reducing turnover. However, keep in mind that fit has to be specifically identified and incorporated into the selection process; it’s not something noticed during informal conversations on the way to the interview room! To ensure a good fit, the interview process should orient to the needs of the job candidate and the organization. The process does not need to be overly complicated; it only requires as much information and as many steps as you would like. A cumbersome interview process will be tiring for the interviewers and the applicants. On the other hand, a minimal selection process may prevent you from gathering sufficient information on the candidate’s fit. A favorable interview process will allow applicants to view the organization more positively, which will also increase their chances of accepting the position. They will have greater organizational commitment and job satisfaction because they are placed into a position that they are well suited for. On the other hand, the employer benefits in that they successfully hired a candidate who is well suited for the job. (Companies like people who can do a good job and want to work there!). In developing a robust assessment, where would you begin? Selection and assessment tools usually begin with job analysis and competency modeling. Job analysis and competency modeling provides an understanding of the position in order to identify and develop competencies (i.e. knowledge, skills, and abilities) that are needed to perform the job successfully. Assessments based on competency models are great because they are rooted in job-relevant skills. The involvement of subject matter experts (i.e. job incumbents) will help inform the essential tasks and competencies of the role. Also, linking the job requirements and needed skill sets increases the perception that the test is fair and that you are hiring for skills that the job requires. To assess the fit and qualifications of the candidate, several tools are commonly used. Work samples. Candidates perform tasks and activities that are similar to those required on the job. For instance, candidates may be given a case study to analyze and present as part of the interview process. Job-knowledge tests. Candidates are tested on knowledge that should have been learned prior to starting the job. The tests may come in the form of multiple-choice, fill-in-the-blank, and essay questions. For instance, an IT role may test candidates on their aptitude on IT software and systems. Personality tests. These are designed to assess the candidates’ motivations, preferences, and interests. They may serve to inform team working styles (e.g. independent vs. collaborative) and interpersonal skills. These may be assessed during interviews, as observation ratings, or as questionnaires. What is your budget? Are there certain financial constraints? Are you creating or purchasing the assessment? If multiple assessment tools are used, what order should they be presented in? In the subsequent blogs for this month, we will dive into best practices for selection and assessment tools and tips and tricks to help you select the right tools for your needs.